President-elect Donald Trump announced Wednesday that he would nominate South Carolina Gov. Nikki Haley to be ambassador to the United Nations. 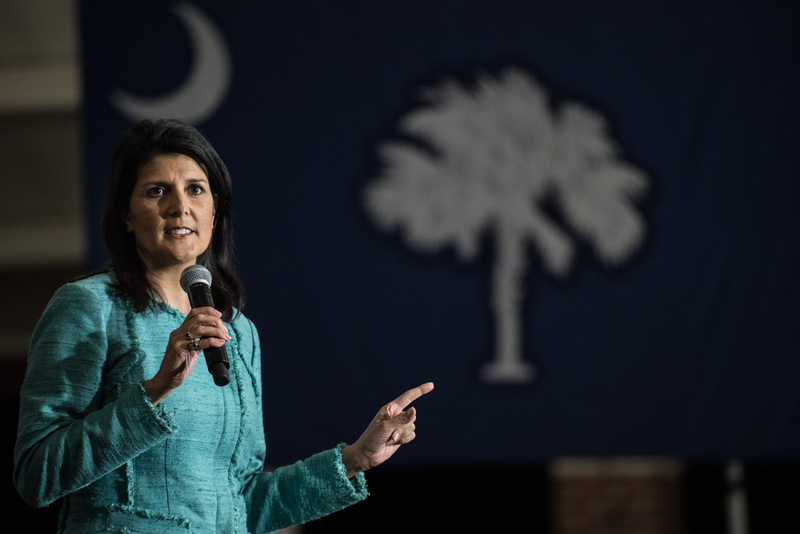 The news pleased many Republicans who view Haley as a rising star in the party. She won acclaim even from some liberals, including former Obama strategist David Axelrod, who tweeted Haley was a "far better choice than others [Trump] might have made," and columnist Nicholas Kristof called Haley "sensible and smart" in a tweet, though he also said she didn't "know UN issues." I believe every life has a value and is blessed by God--my husband was adopted and my pro-life convictions stem from the fact I feel the blessings of that value every day knowing someone chose life for him. As governor, she worked to put those beliefs into practice. She received a large amount of national attention for a South Carolina bill that banned abortions at 20 weeks in May of this year. While the Pain-Capable Unborn Child Protection Act stated there was "substantial medical evidence" that a fetus could perceive pain at 20 weeks, a 2005 study published in the Journal of the American Medical Association found "fetal perception of pain is unlikely before the third trimester. The bill Haley signed does allow exceptions if the mother's life is in danger or if the fetus is determined to be unviable; otherwise, though, doctors who perform abortions after 20 weeks could face felony charges and fines of up to $10,000. Haley also joined many other Republican governors in calling for investigations of Planned Parenthood after the publication of an undercover video in 2015. Her actions were praised by pro-life group LifeNews.com. By and large, Haley is seen as a relatively moderate and welcomed addition to Trump's administration selection, especially when compared with more controversial choices, like former Breitbart News executive, Steve Bannon. Moreover, it's not necessarily likely that her views on abortion and reproductive rights would significantly come into play as ambassador to the United Nations (assuming she is confirmed). Still, like all facets of Haley's political record, it could very well come under scrutiny during the confirmation process.